Yesterday morning we highlighted that, after having been burned way too often by wind-socking stocks whose momentum now changes on a daily if not hourly basis, Dennis Gartman decided to give another asset class a try, ironically the same one that made him into a laughing stock several years ago when he predicted that "oil would never rise above $44 in his lifetime." 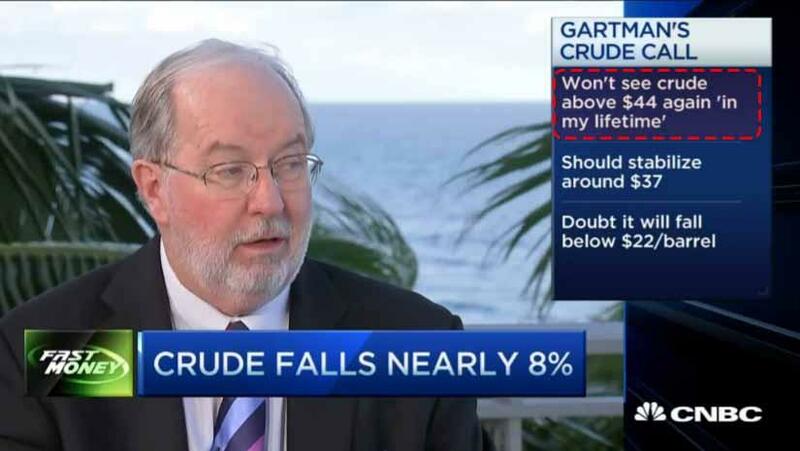 It did just that a few months later, and yet Gartman is still alive. NEW RECOMMENDATION: We wish to sell WTI and Brent Crude short this morning upon receipt of this commentary, predicated upon the massive narrowing of the backwardation in both and predicated of course upon the “reversals” suffered by both. We’ll have stops in tomorrow’s TGL, but for now we’ll risk $1.20/barrel from the current level, looking for $5-$7/barrel to the downside and one unit of each shall suffice. 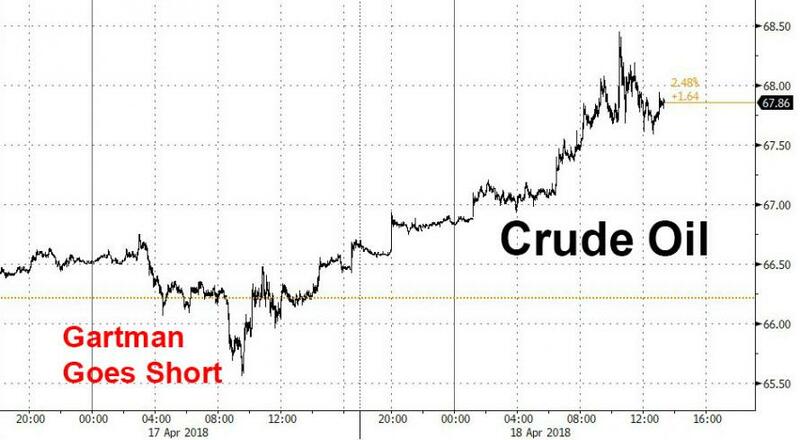 To which we said that while as of 11am on Tuesday oil was up only 22 cents, "those who hurry can make a quick buck as Gartman is stopped out in the next day or two." ... he has been stopped out, after oil surged $2 higher from Gartman's entry price.